Of course, all of us wants a convenient way when it comes to handling our personal finances. With the birth of online banking, this is very much possible even you're in other countries. Aside from convenience, online banking also offers both innovation and style. With your smart phone and fingertips, you can log in online and get banking transaction done, whenever you are at your most convenient time. With banking online, you don't need to wait in line, you don't need to rush in a bank that is only open from 9 in the morning till 5 in the evening. With online banking, you can keep track of your money much easier because your account information is available anytime online. The paperless transaction comes with online banking where you can pay our bills. But the question is, how about Overseas Filipino Workers (OFWs) abroad? 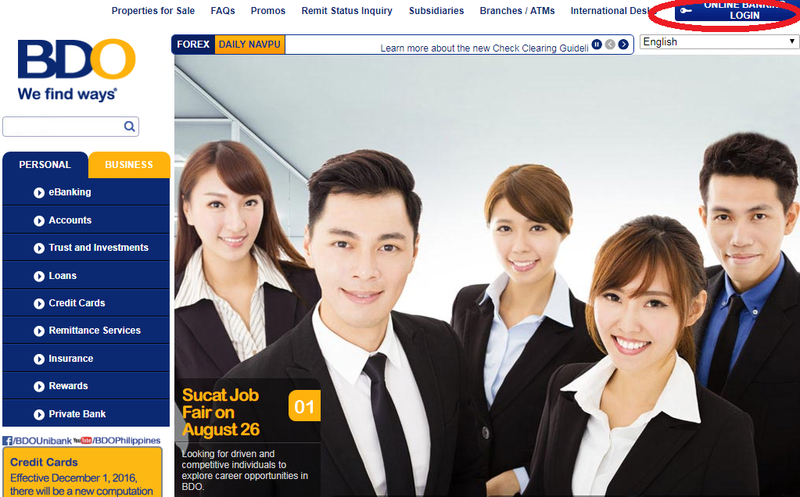 Is online banking available abroad? 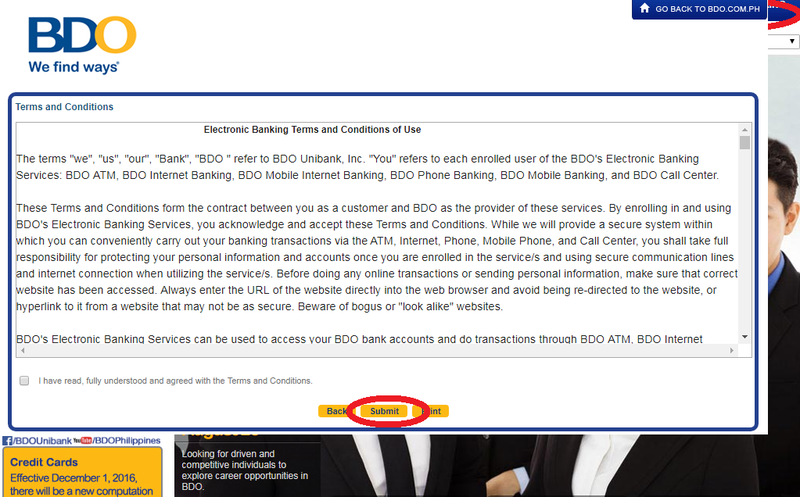 With BDO Online Banking, the answer is 'Yes'. What is a One Time Password (OTP)? Since you are not enrolled, click on the "Not Yet Enrolled" button to sign up. After clicking, your will be redirected to a page where it displays information about online/electronic banking terms and conditions of use. Click SUBMIT after ticking this box. 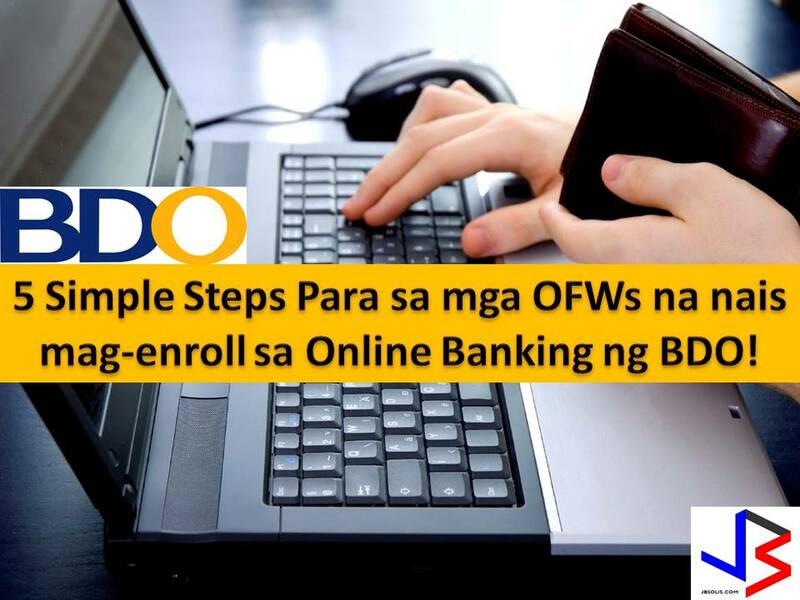 For OFWs of Filipinos residing abroad, select option "Outside the Philippines"
Online banking information: User ID, Password, Mobile number and Email Address. Challenge Questions and provide correct answers. This is relevant in securing and in ensuring that you are the sole person who can access this account. After you finished with your information, all you have to do is to wait for the confirmatory message to be sent to your email address provided in the enrollment process. A bank representative may call you're to verify your online enrollment within five banking days.